On the 18th of March 1962, 801 squadron was reformed at Lossiemouth in the strike role with 8 Buccaneer S1's. 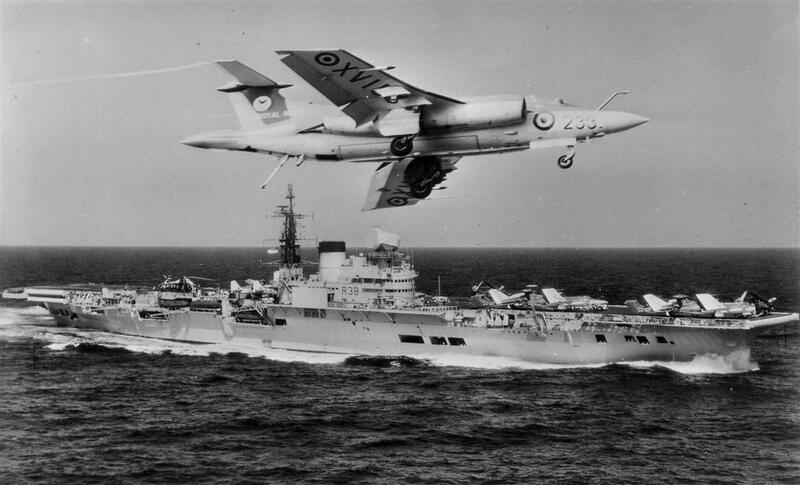 After a spell on HMS Ark Royal in the Mediterranean it increased its strength to 10 aircraft and embarked on HMS Victorious in August 1963 for the Far East. In February 1964 the squadron disembarked to Nairobi during a crisis in East Africa. 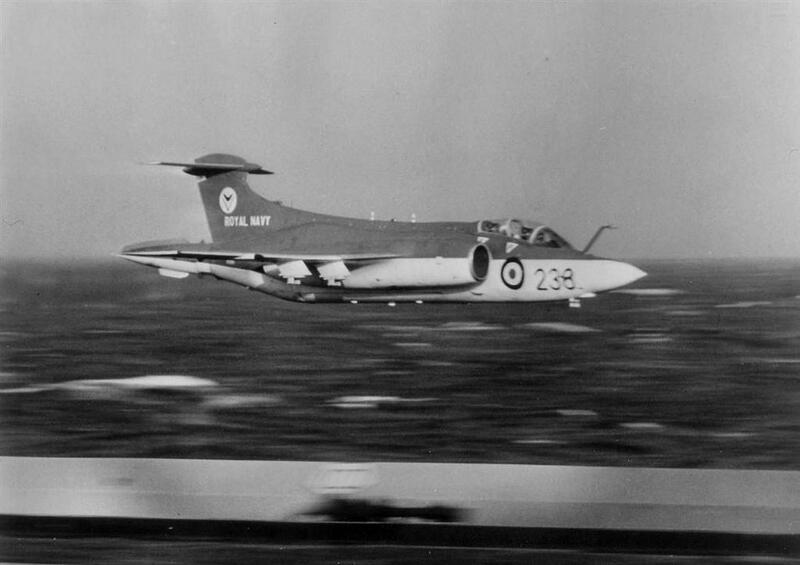 After a further period in the Far East the squadron returned home and was disbanded on the 27th of July 1965. The squadron reformed again at Lossiemouth on the 14th of October 1965 with 12 Buccaneer S2 aircraft mainly supplied from 700B Flight. Joining HMS Victorious for a spell in the Mediterranean, it returned home a year later. 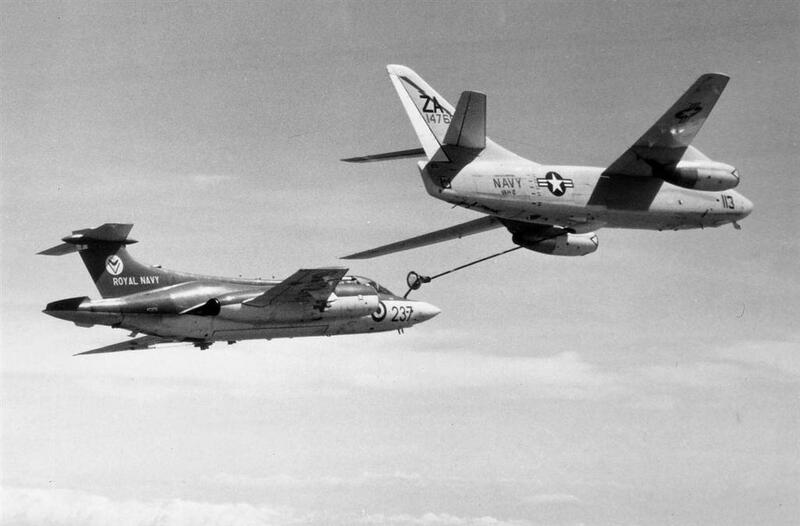 The squadron subsequently received the 1967 Boyd Trophy for its efforts in bringing the Buccaneer into service. 801 transferred to HMS Hermes in 1968 for a further spell in Eastern waters. In March 1969 the ship returned home to spend the next year in Home and Mediterranean waters. The squadron eventually disbanded at Lossiemouth on the 21st of July 1970. Click on any of the 2 links below to view them on the British Pathe website.